The Safco Ready-Set-Go! 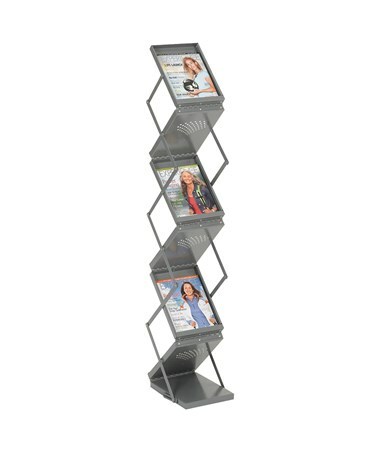 Double Sided Folding Literature Display is an easy and ready to use magazine rack that makes displaying and organizing literature a breeze. It has a stylish look that makes it perfect for trade show and other exhibits. It features six pockets with a double-sided display that are 9.25 inches wide and 11.75 inches high. 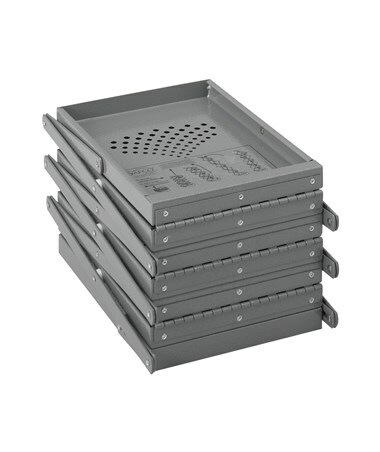 This rack easily folds to only 7.5 inches high which makes transport and storage easy, and the literature can be kept inside the pockets when the rack is folded. 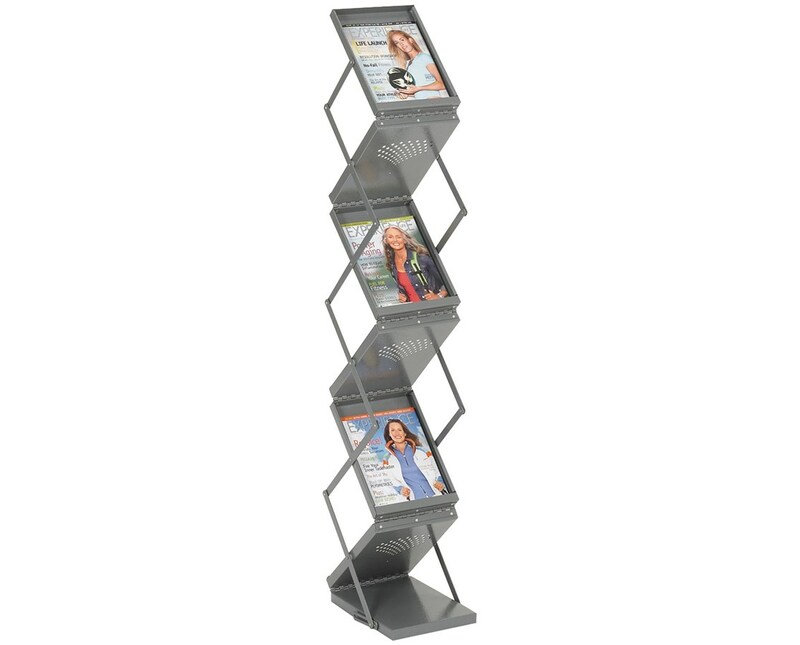 Constructed of durable, heavy-gauge steel with a scratch-resistant Gray powder coat finish, this display will hold up to frequent use. It is also GREENGUARD certified for low chemical emissions. 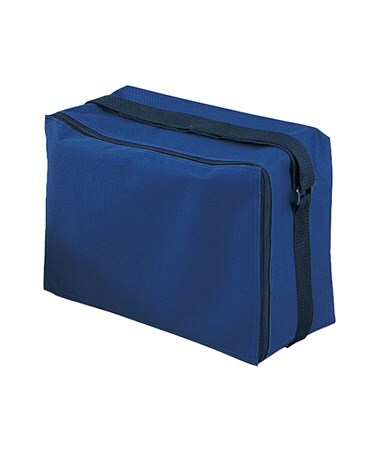 A heavy-duty carrying case is also included.